The PS4 has been a success for Sony is many ways. Not only has it outsold the Xbox One with over 1.2 million more units sold, Sony has also revealed that PlayStation Plus subscription are up 90% since the next-gen console launched. 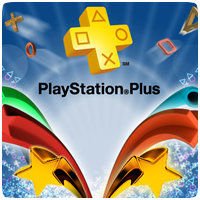 The increase in subscriptions is largely due to PlayStation Plus being required for online gaming on the new console, although it’s not required by all games. In addition to online gameplay, PS Plus also has additional benefits like free games every month as part of the Instant Game Collection. This month, PlayStation Plus subscribers can look forward to downloading Don’t Starve for free, as part of their subscription. The PS4 has also increased broadcasts on Twitch.tv, with the new console now accounting for 20% of all streams – a two-fold increase compared to December.